Stone can be made into many different types of tools. 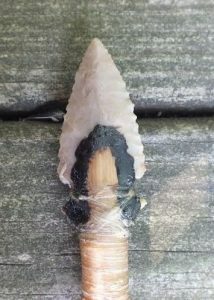 Some stone is flint knapped, using percussion and flaking to create sharp edges. Some is ground down, using harder, rougher stone to grind down to the desired shape. Others are pecked, where minute bits of rock are removed to create the desired shape or effect. 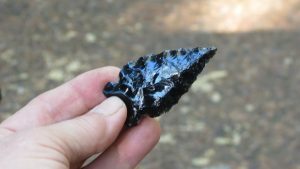 My rookie obsidian arrow head.